Keep the noise away and stay focused on the music with Active Noise Cancelling. Shaped around your head with a fitting fabric headband and soft ear cushions, the LIVE650BTNC are super comfy. Rock on for 30 hours with Active Noise-Cancelling turned off or 20 hours with Bluetooth and Active Noise-Cancelling on. A quick 15-minute charge lets you extend the fun for an additional 2 hours. 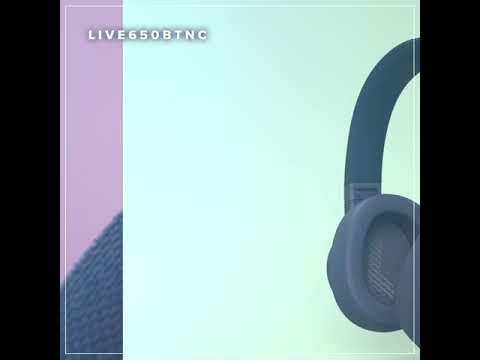 JBL LIVE 650BTNC is rated 5.0 out of 5 by 1. Does it use type C or micro? 650BTNC actually doesn't have ambient aware feature, does it? Thanks for reaching out, The JBL Live 650BTNC has only the active Noise-Cancelling technology allows you to block-out ambient sounds. If you have other questions or any inquiries, please submit a case request at https://www.jbl.com/support-contact.html and the Customer Service Team will be more than happy to assist you. 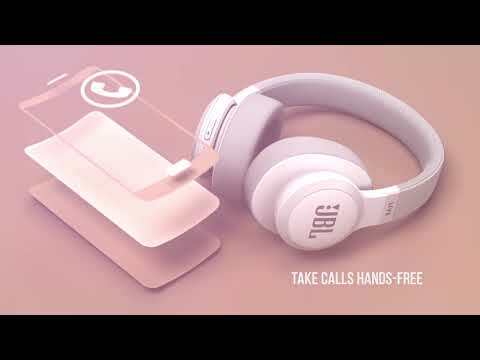 The Live 650BTNC's active noise cancelling feature can be used either on a wired or wireless setup, where the switch to toggle it on or off is found on the headphones itself. The microphone is also found on the ear cups since you can go completely wireless with the headphones. Live 650BTNC actually doesn't have ambient aware feature, does it? @BV Thanks for reaching out, The JBL Live 650BTNC has only the active Noise-Cancelling technology allows you to block-out ambient sounds. If you have other questions or any inquiries, please submit a case request at https://www.jbl.com/support-contact.html and the Customer Service Team will be more than happy to assist you. Does the active noise cancelling still work while plugged in to your music player instead of using bluetooth? Yes, . In wired mode, power on the headphone to switch it on. Power off the headphone to switch it off. Also could use the ANC button to switch it on and off. Hello, I bought this model and I am wondering is there a option to turn off the noise cancelling feature by default. I mean when i turn the headphones on I want NC be turned off. Thanks in advance! Does it charge using a USB-C or micro USB?